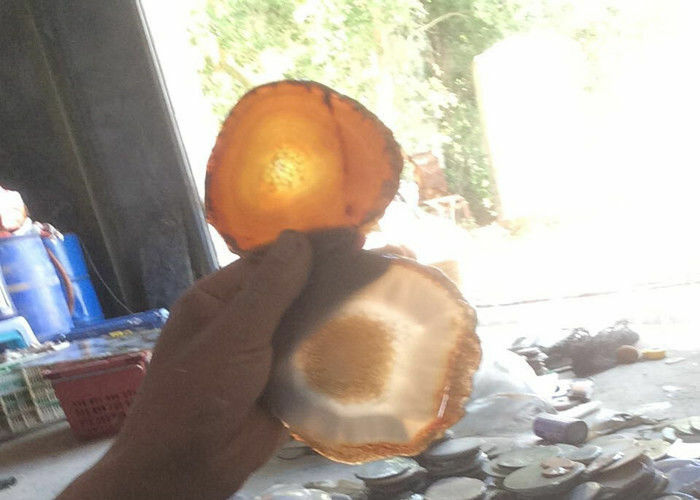 Polished Natural Stone Crafts Agate Stone Slice For Tea Coasters are used for tea coasters and coffee coasters.The stone material is nontoxic so it can be widely used in home,hotels and restaurants.It is safe. 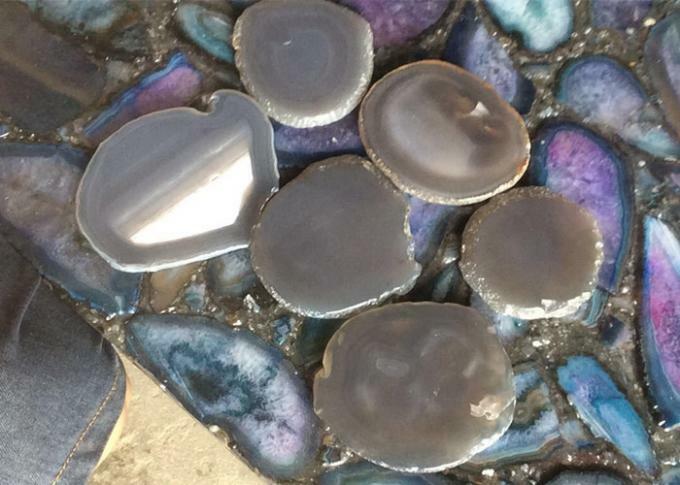 Natural agate slice coaster is also can be used for decoration.Setting several natural agate slice coasters on the table look quite modern and fashionable. natural agate stone coasters such as oval and round are available.There are many colors for customers to pick up,such as natural color,red,grey,pink,blue,orange,green,purple,black and white and so on.Among so many colors,original white color is the most popular color.As for edge of coasters,besides plain edge,edge plated in gold and silver are also welcome recently.The size of agate slice cossters can be customized,usual sizes are 10cm,15cm,20cm about.Size about 10cm is the most pupular size for tea cup coasters and coffee cup coasters.We can add bumpers on the bottom of agate slice coasters for customers if they want.